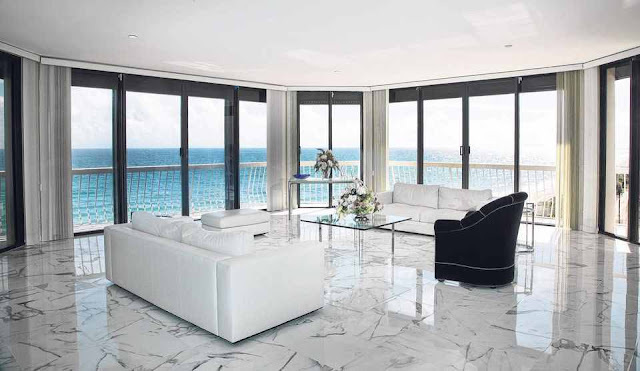 Marble flooring is one of the most luxurious and elegant floor options. It has a rich history as it was material for designers, architects, and artists throughout human history. Being completely natural, marble floor tiles are extracted from the mountain ranges around the world, and are available in a variety of finishes, in different sizes and colors. 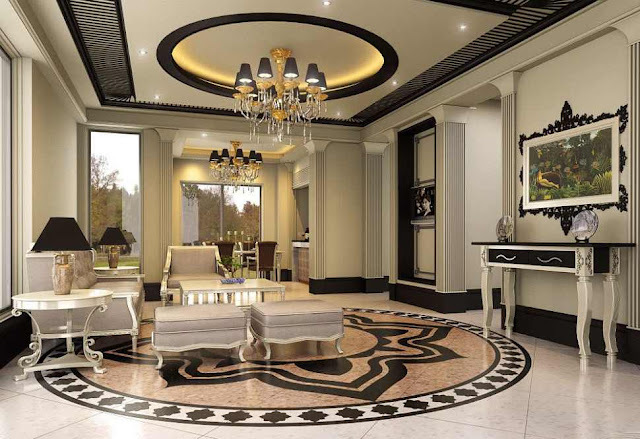 The marble floor designs are elegant and refined, but the marble floor requires a certain amount of care and maintenance. marble floors especially white marble flooring require attention on a regular basis in order to protect them from stains and moisture. marble floor is also susceptible to certain types of dyes and damage. 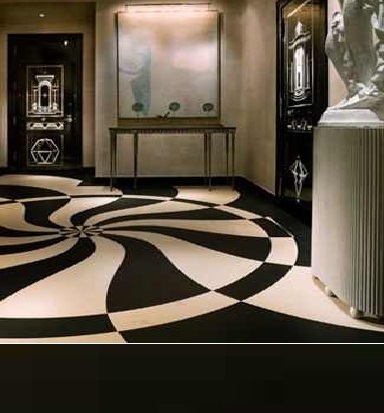 After the installation creates an invisible layer over the marble floor to complete the protection. Maintenance of marble flooring requires repeated application of surface treatment every 6 - 12 months, depending on the exposure intensity of the surface. Acid colors: any acidic substance enters your raw marble floor cause a chemical reaction. The result of this reaction is permanent discoloration of marble. Common aggressive elements include fruit products and juices, soft drinks, vinegar, and various soaps and detergents. Spills should be removed immediately with a damp cloth. 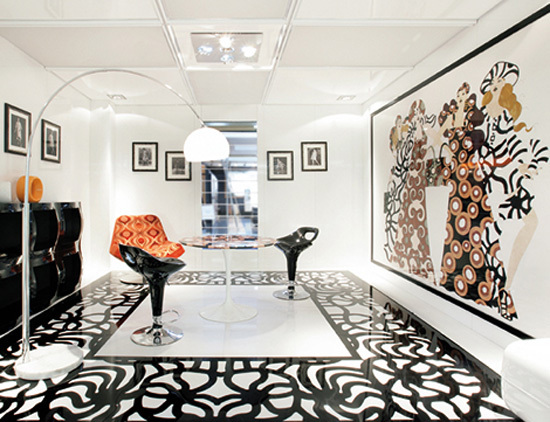 The invisible layer over the marble floor types designs helps you to protect it. Never use detergents on the basis of any acid on the marble floor. Slip resistance: resistance of the marble floors sliding friction is measured, which calculates how much force is required to move the proportion of the surface. The higher the friction coefficient, the less floor slippery. The coefficient of friction depends on the types of marble floors that used as a floor coating. Marble floors have a very low coefficient of friction, especially when it's wet, making them potentially dangerous. Physical damage: while we usually think that rock is very solid, marble flooring is actually very fragile and can suffer and be damaged as cracks and chips. Careful installation of the marble floors can prevent this to some extent, it is necessary to make sure that there are no spaces in the small space under the tile that can create small pockets of air, which can cause the destruction of the marble floor tiles. With polished marble, You should also avoid scratches that may occur. Accommodation acrylic or rubber pads under furniture legs and accurate movement of large trucks can help to avoid scratches on the tile. 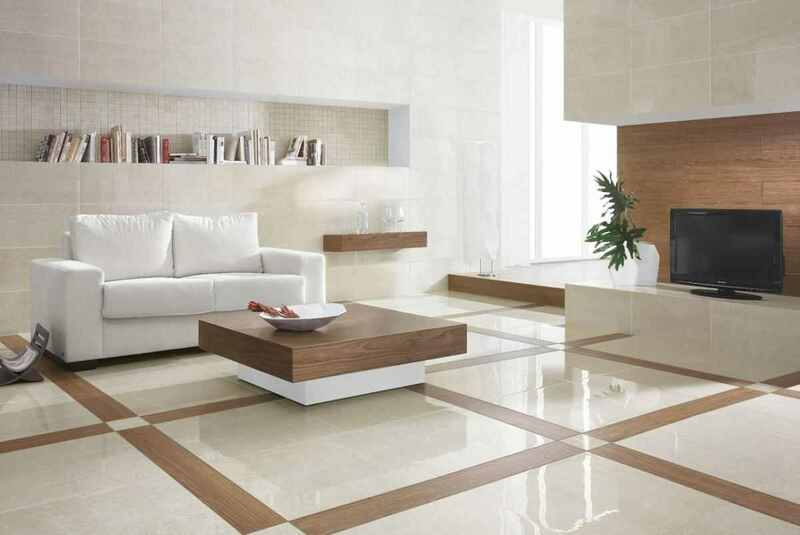 Regular cleaning and maintenance of marble floor protection from sand and dirt will help to preserve the surface. The marble floor cost begins with an average of 45 dollars per square meter, making it one of the most expensive natural paving options. Generally, the larger the tile, the larger the price the square meter. 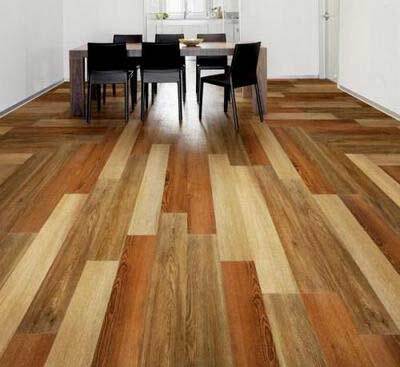 Some stores discount tile can offer you at very low prices. Make sure that they present policy of returning the material if the material is defective or of poor quality. Despite the natural strength, eventually, marble loses its luster and becomes dull and covered with a network of microcracks. Marble flooring needs special care and careful polishing to preserve its original beauty. Polishing at home is quite complicated and time-consuming process. Paraffin wax, sandpaper in different numbers, soft cloth, sand, pumice containing wax care products for stone. s to the layman can only add luster to the marble floor and remove the minor defects. 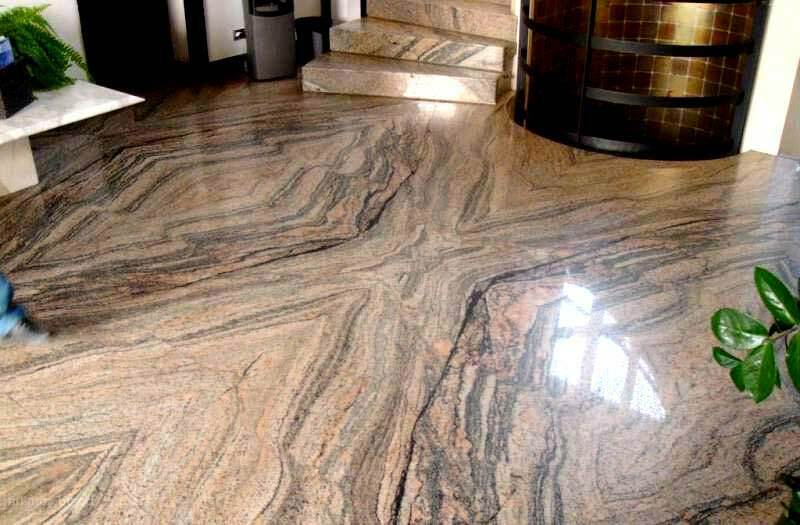 To polish marble flooring, you cannot use products containing any acids: they destroy the structure of the stone, eventually leading to breakage. 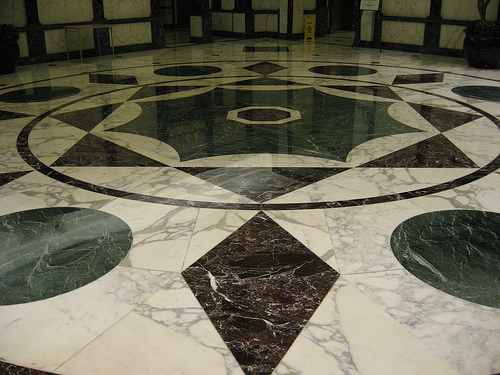 Wax products will not harm your marble floor designs. Some damage to the marble surfaces is difficult to eliminate without prior sanding. Uneven marble surface with visible differences should be ground by coarse abrasives such as grinding wheels and bars. Wheels are attached to a special drill. Fine sand and pumice can also be used for grinding. 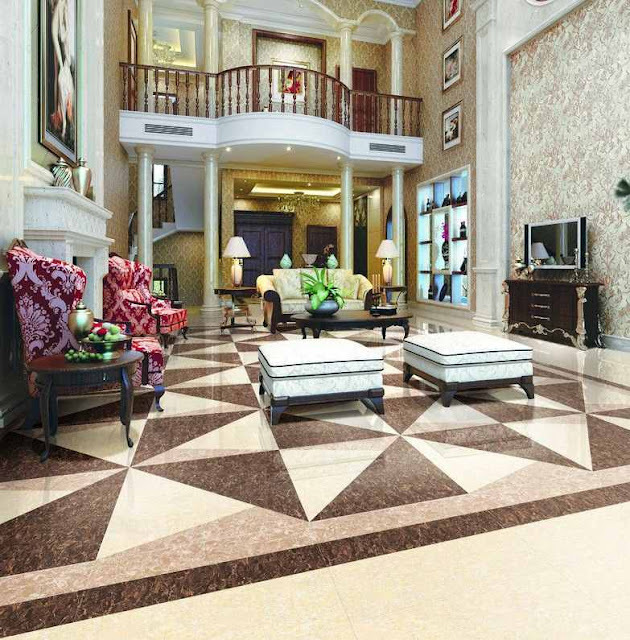 To make the white marble floor shines and looks perfectly flat, use multiple numbers of abrasives in the floor grinding. To get a kind of monolithic stone you must remove a significant layer of material (not less than 3 mm). Small items can be sanded with fine sandpaper. 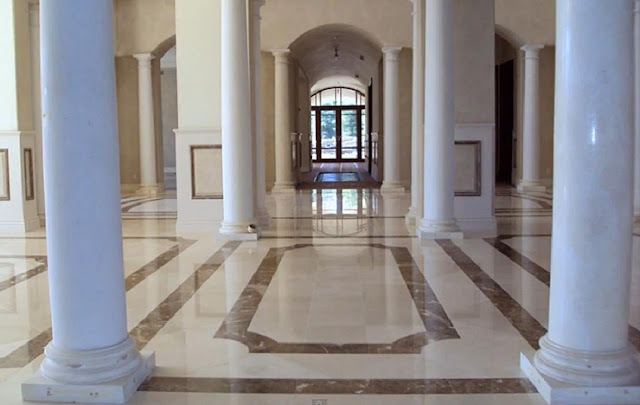 Grinding helps to eliminate shallow potholes, cracks and scratches After that marble floors should be protected from external influences by means of polishing, which will give the marble in brilliance. 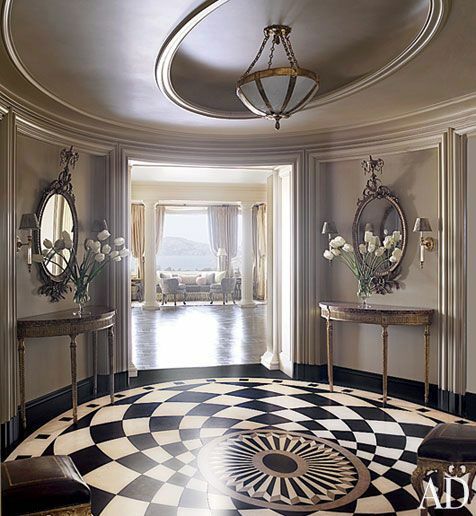 How to polish marble floors? use the special tools on the basis of wax, they fill the microcracks and protect it against water, dirt, food dyes and other destructive foods. Marble polishing can be erased using a mixture of fine iron oxide and sulfur; after application of the powder rub the surface with a piece of skin to shine. Sprinkle marble paraffin and rubbed with dry soft canvas, you also will give the marble flooring a luster and protect it from harmful influences. Tip: You can buy different types of marble wax products from any online shops after reading the reviews of each product.